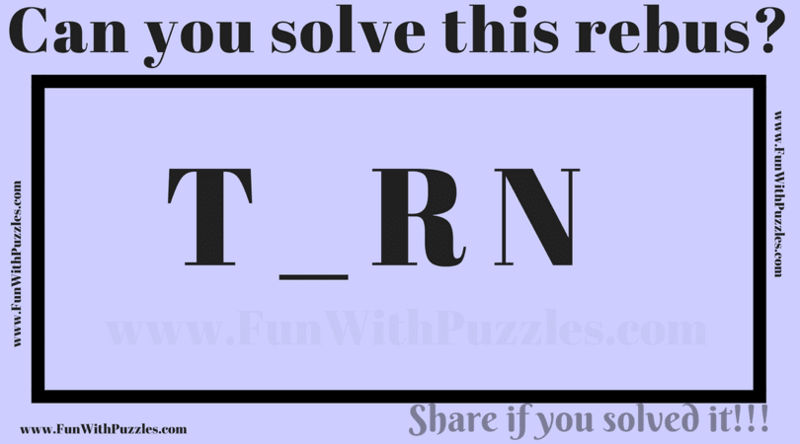 It is an easy Rebus Puzzle for kids. Rebus Puzzles are also called hidden meaning puzzles because in these puzzles one has to find the hidden meaning of the given text or picture. So here is similar hidden meaning picture puzzle. In this rebus puzzle, you have to tell the word or phrase represented in the given puzzle picture. So can you can solve this easy rebus puzzle? Can you solve this rebus puzzle? Answer of this "Rebus Puzzles for kid", can be viewed by clicking on button. Please do give your best try before looking at the answer.